Our first GLGW seminar took place on Thursday 22 January at TORCH, with a fascinating paper by Dr Roderick Bailey, Wellcome Unit for the History of Medicine, Oxford. His paper was entitled Dealing with the baby killers: British handling and interrogation of captured zeppelin crews 1916-18. Today, zeppelins are seen as almost comical: not very effective bags of hydrogen gas. During the First World War, it was a very different matter. Fifty-one airship raids caused 600 deaths, 1400 injuries and £1.5 million pounds of damage. Although zeppelins couldn’t carry heavy bombs and were affected by clouds and strong winds, both of which disrupted navigation, they did impact on British war production, damaged morale and diverted resources from the Western front, with 1000 personnel being involved in manning weapons. One of the problems was that zeppelins were rarely seen unless they were caught in searchlights. They could fly very high and, although the hydrogen gas was extremely flammable, they had multiple bags and so if one was torn, there were many more to carry the crew home. Numerous attempts were made to bring zeppelins down, including dropping weapons on them from above. However, it was not until the military codes were broken, and so the British knew when they were leaving their bases, that progress was made. This was combined with an advance in weaponry, particularly with incendiary bullets, which could be used against zeppelins. Eventually, the numbers of zeppelins started to fall away and by 1918 there were very few in the war. The seminar included a wealth of images, including George Griffith’s illustrations (for example, the Angel of the Revolution) and a range of photographs that depicted the damage caused by zeppelins, such as Hull in 1915. The damage there led to retribution against German shops across the UK and elicited hostile letters to the newspapers, which described zeppelin crews as murders and baby killers – hence the title of the talk. 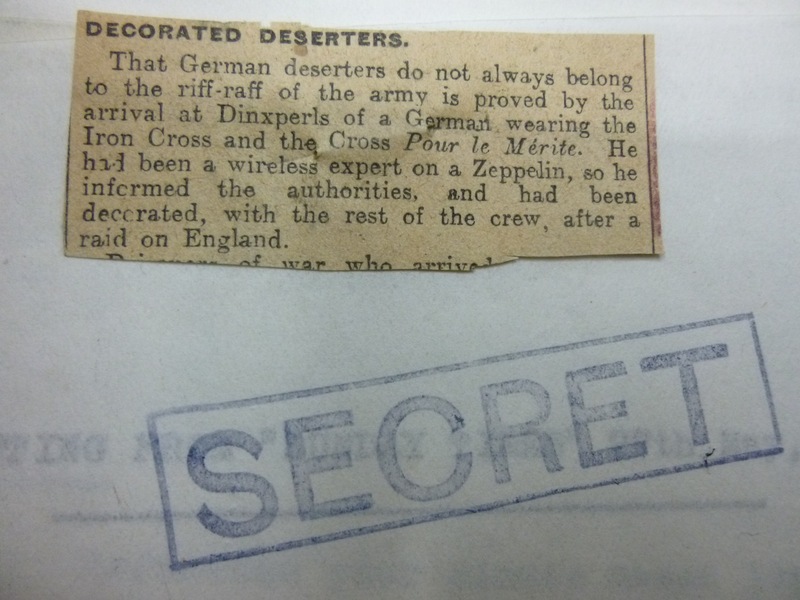 Bailey’s research involved going through military intelligence records to work out how they got captured zeppelins crews to speak under interrogation. It is usually very difficult to know what goes on behind locked doors, but there are an extensive number of records held by Naval Intelligence and the War Office, who were responsible for interrogating the captured aircrew. 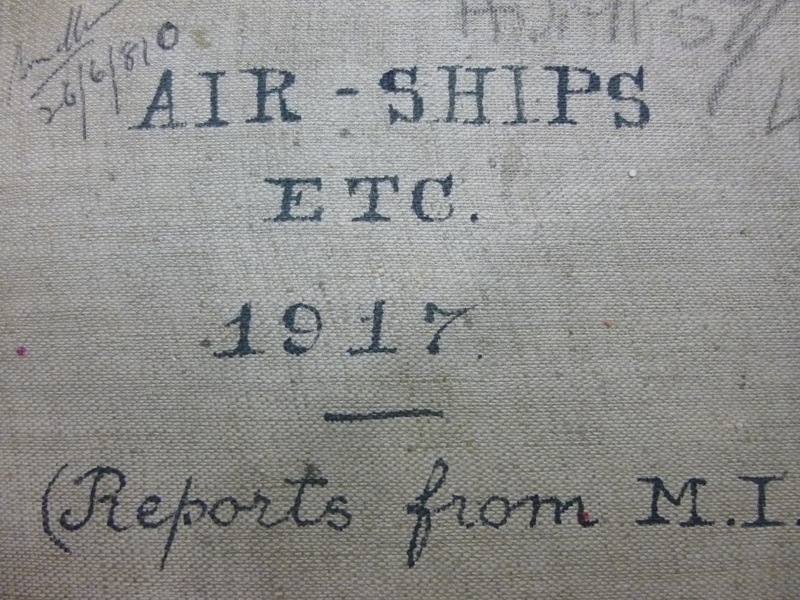 The crew provided one source of information; other sources came from crashed airships. There are also records from the captured crew, describing the conditions under which they were kept. For example, Kapitänleutnant Joachim Breithaupt, captain of L15, explained that he was treated well by the British. The first crew arrived in April 1916, with interrogation taking place over three days. The records show that there was a lot of respect for people who refused to answer questions, or kept silent. As many of the crew had not been trained to deal with interrogation, prisoners responded in very different ways. Some were silent; others were open but told lies, while some were open and appeared to give accurate detailed information. They gave information on navigation, technical specifications, and numbers of Zeppelin lost. Crew also spoke on airship vulnerability; for example, holes in the skin and the deteriorating quality of bags. One thing that became clear was that crew often did not know the location of their drops and it was a matter of luck that they hit certain places. Importantly, there were clues as regards how to bring zeppelins down, and the fact that shrapnel was not an effective weapon. It also became clear that the airmen were not happy being part of a crew. The noise of the engines caused temporary deafness, many were scared, particularly given the flammability of the gas and there were problems with navigation. Zeppelin L33 was brought down in September 1916, with the survival of the entire crew. They then faced six weeks interrogation by the British. However, many airmen were happy to be in the hands of the British intelligence, as they expected to be treated well. They were, though, apprehensive of the public, as they had heard stories of retribution. Again, some of the crew were very open with information. One tactic the British used was to ridicule the crew if they lied; this led to justification of the lies, which could illicit more useful information. They would also refer to war crimes and show prisoners photographs of the damage inflicted on Hull and graphic depictions of corpses, including dead children, and accuse them of killing them. This led some crew to claim that they had only done their duty. One crewmember, Schirlitz, was pushed to admit responsibility, but he would only admit to bombing one place. He claimed to know where places were, but could not answer why military targets had not been bombed. As a consequence, it became clear that crew did not know the geography of the UK or whether they had hit their target. In October 1917, L45 was brought down in the south of France. Although a number of zeppelins had been blown off course, L45 probably run out of fuel. Again, the crew were caught and interrogated. It was found that the crew had bombed Piccadilly Circus, killing 33 people, but the crew had no idea they had done this. On repatriation, one prisoner managed to smuggle out the interrogation report. It gives a detailed account of the interrogation process, and revealed that the British knew very accurate details of the flights, with which they confronted crews in order to elicit more details. The records show that the British used very persuasive, logical methods to elicit information. Interrogators were German speakers, who tried to wear people down to get them to talk. However, they treated prisoners well. They also did not stop German prisoners writing home, in part because the British were afraid for their own prisoners in German hands. Research demonstrates that Zeppelin crews tended to be more intelligent and more educated than front line troops and, despite the dangers of flying zeppelins, crew were proud of their status and enjoyed the attention they attracted when in Germany.